1918 – The first minister of education of the Republic of Estonia 24.02. � 27.11. Peeter Siegfried Nikolaus Põld sündis was born July 12, 1878 (June 30 according to the old calendar) in Virumaa, in the J�hvi community. His father, Peeter P�ld, started work as a teacher in 1870 in the Pada community. In a few years time he married Juliane, the beautiful daughter of J�ri Eriks, a barman in the Rakvere manor pub. They settled in the village of Puru, where teachers were better paid. Peeter Põld, Sr. was an optimistic man who loved singing and good company. He was of medium height, with a dark complexion, and strong. He was very influential in his village community and enjoyed the respect of all its members. 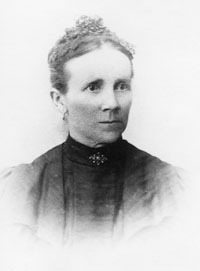 Juliane Põld was also of medium height, slender, and with a serious temperament. She was well educated for the times – she had graduated from the Rakvere Higher School for Girls – she spoke foreign languages and was a good educator. 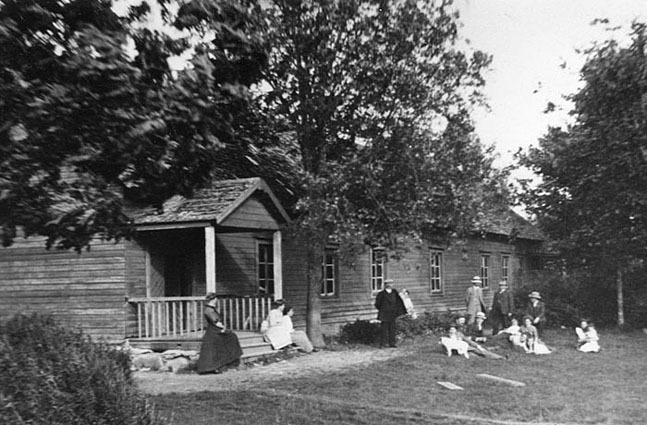 From 1875 to 1912 Peeter and Juliane Põld lived in the Puru schoolhouse. The aesthetically-minded mistress of the household did not like untidy school environments. Home improvement was not yet popular at the end of the 19th century. However, the young couple applied their energy to beautifying the inside and outside of the schoolhouse and many farms in the neighbourhood followed suit. 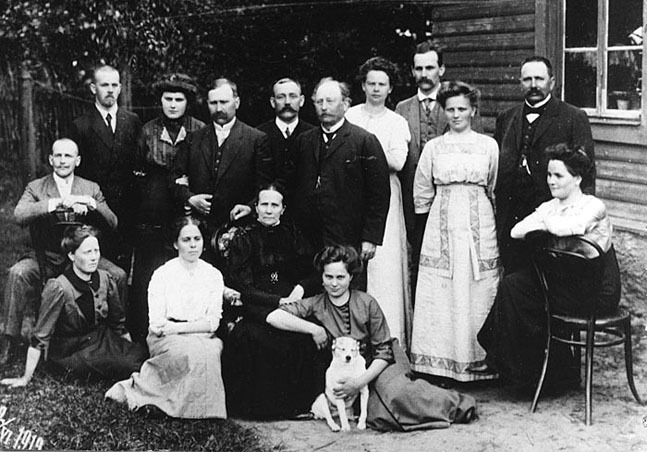 Peeter and Juliane Põld brought up ten children – five sons and five daughters. The eleventh child died in infancy. 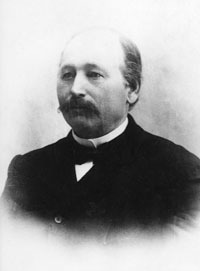 Besides Peeter, the third child, the oldest son Harald (1874 – 1939) also became well known as a clergyman and translator of the Bible, and as a developer of the Estonian language. He was the author of several books on grammar. Growing up in a big family develops early social approach in children, which has clearly contributed to becoming good co-workers and companions. They have never felt lonely, the company of their peers has always been their field of activities and success. They have never suffered from clumsiness, inability to communicate with others and problems with adjustment which often characterises children grown up in small families. They have always felt free and confident in all their performance. A. Aret. Peeter Põld – a guide for Estonian education. IN: Peeter Põld reflected in his time. Compiled by H. Muoni. Tartu University Publishers. 1996, p. 11. Peeter’s childhood was rich in experience and spiritual sustenance; he worked hard but there was also enough time for play. The brown eyed Peeter was a lively and bright boy, particularly receptive and observant of his surroundings. Peeter inherited sensual appreciation from his mother and a strong will from his father. He received his primary education from his father, who taught in Estonian in the local village school. His early years at the Puru schoolhouse provided a broad and solid foundation for his future life. 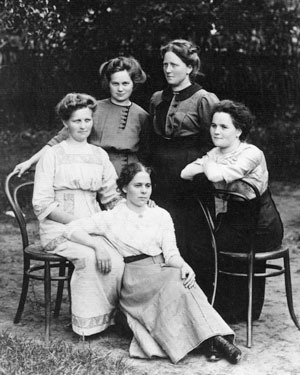 The daughters of Peeter and Juliane Põld. 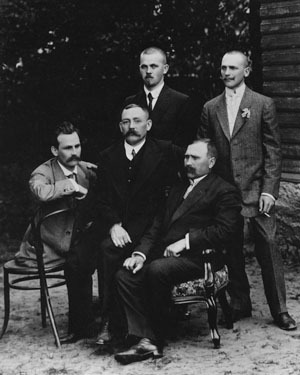 The sons of Peeter and Juliane Põld. Engerhart, Reinhold, Peeter, Harald and Aleksander.